Experimental arthritis and cancer drugs regrew hair for patients with the second most common type of hair loss. 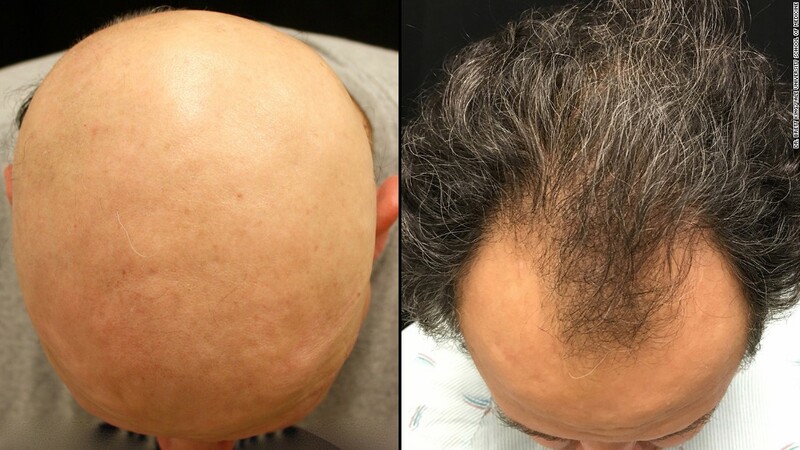 Scientists want to make them work for male-pattern baldness. Any volunteer to try Xeljanz with dmso? Godamnit, the quote below from that link, is exactly what I’ve been saying for years on this forum, and I was thrashed for saying it. No one wants to acknowledge that hair loss is serious. I suspect because hairy men are secretly glad we’re bald, because it’s less competition for them. But when people here parrot the same nonsense about hair loss being trivial, they are helping to perpetuate that myth and slow research into a cure. Why is it taking so long for a cure? And I’ve been saying for years, that we need to push the fact that treating MPB would treat FEMALE pattern hair loss. We are wasting our time trying to get science to respect men’s hair loss. It won’t happen for another generation or two at the minimum. Science will move mountains to cure women’s cosmetic problems. Between the men & women who are sympathetic, and the other Donald Trump types who just want prettier women to choose from, people deem the effort worthy. Did you see the photos? His MPB persisted after regrowing AA hair. Yes, that is exactly what it looked like. The drug demolished the AA problem and didn’t even touch the MPB problem.